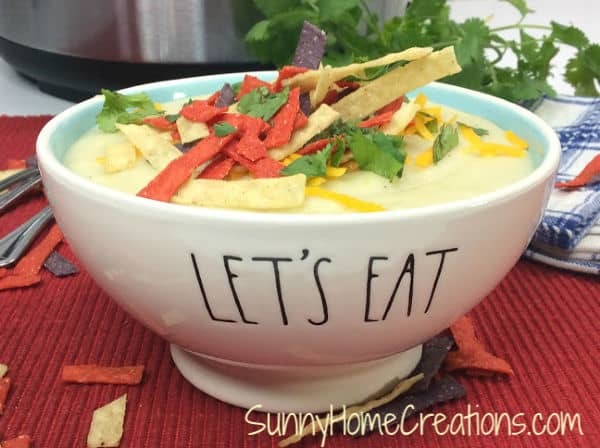 This Creamy Instant Pot Cauliflower Soup Recipe is the perfect dish for a cold winter day! There is nothing quite like hot soup on a cold day. 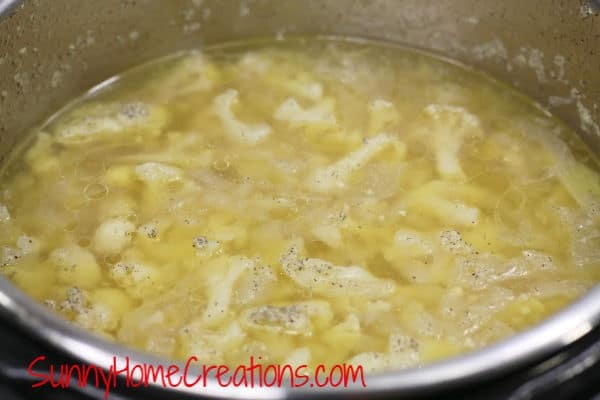 If you have an instant pot, it is great to be able to speed this process of soup making up. It is super simple to make. Especially, if you’ve been out in the cold or snow and want something to heat up your insides quickly! This instant pot cauliflower soup will do just that. It is creamy and delicious. 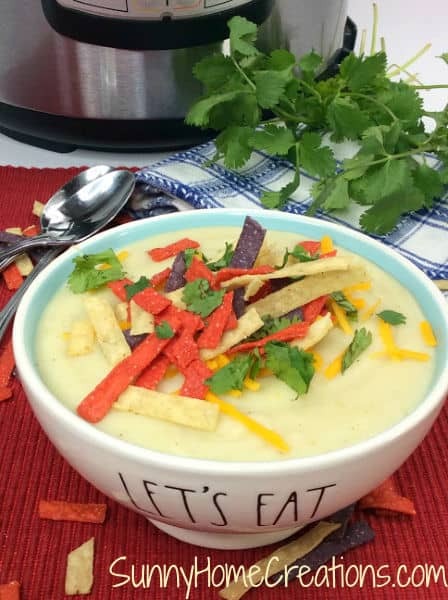 Made with cauliflower, potatoes and an extra special ingredient – chopped green chili’s! This soup will have you wanting to go back and have seconds or thirds. I love how many vegetables it has in it. 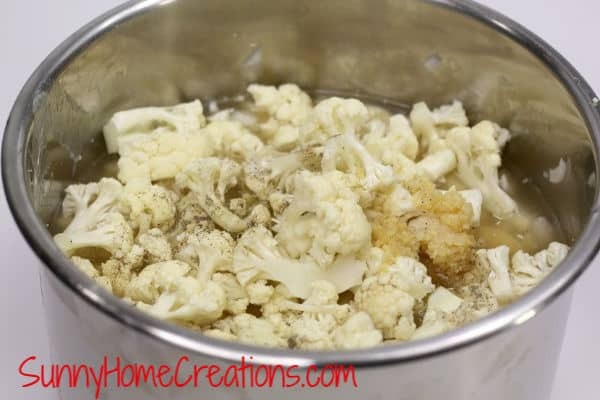 I love to try and get as many of vegetables in my meals as possible, with this one having cauliflower it is perfect. 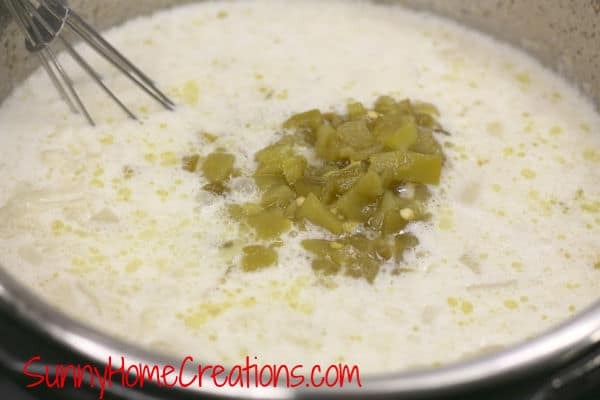 Some side dishes to have with this delicious soup are salad, crusty bread or a cheese sandwich. Does your family love dipping cheese sandwiches into soup as much as ours? My kids insist that every soup deserves to have a sandwich to dip with it. To your instant pot add in the diced potatoes, cauliflower, diced onions, chicken broth, seasonings, and butter. Next, place the lid onto the instant pot, lock and set the valve to sealing. After the time is up, do a quick release to release the pressure. 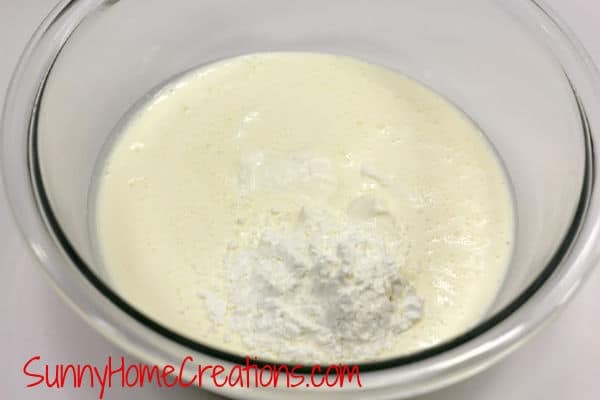 In a small mixing bowl whisk the heavy cream, sour cream, and the corn starch together. Stir this cream mixture into the soup. Next, you will mix in two cans of chopped green chile’s and the sharp cheddar cheese. Press the saute button and while stirring, cook the soup until the soup thickens. Use an immersion blender to blend the soup to make a smooth and creamier soup. Add your diced potatoes, cauliflower, diced onions, chicken broth, seasonings, and butter to your Instant Pot. Place the lid on top, lock and set the valve to sealing. Do a quick release to release the pressure. Press the saute button and cook the soup (while stirring) until the soup thickens.